Fillings are a common dental procedure and if you do not have any, then you may have heard of them or know someone with them. It is important for you to understand that fillings are not what they used to be, and they can provide you with more benefits and you do not have to fear the amalgam that is used in many of them. Dentists rely on fillings to help protect the teeth and fill in areas where there may be breakage, a cavity, or even some root exposure. Fillings are designed to aid in keeping your tooth safe and preventing it from needing to be extracted. When it comes time to have a filling, you will find that there are a variety of different types that can be used. Our dentists will go over your options with you while you are here. Each type of filling has its own pros and cons and you will find that our office offers two main types, which include composite or resin and amalgam. 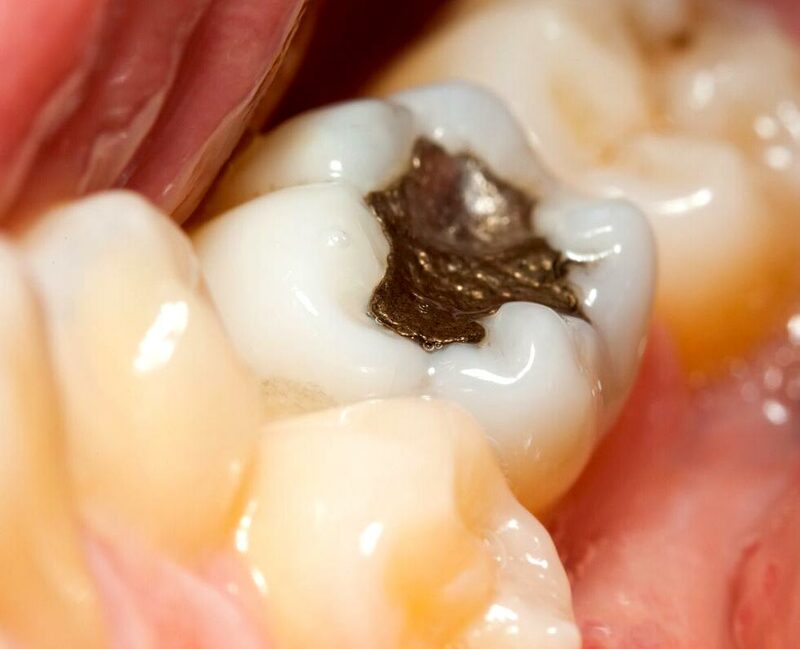 You are probably used to seeing amalgam fillings as these are the most popular and they are silver in color. They are better known as metal fillings and were used long ago before other newer and modern options appeared. As technology has improved, it has been determined that there are multiple types of filling materials that can be used. Amalgam fillings, while popular, are not always a viable option for everyone and many dentists do not use them as much. If you currently have amalgam fillings, our dentists can remove and replace them if you so choose. There are many reasons why you may need to have a filling placed in your tooth. Below, we will talk about some of the most common reasons here in Thornton. You will need to receive a filling when there is a break or fracture in your tooth. The filling is able to help fill in the void and prevent more damage from occurring to the tooth. If you do need a filling for this reason, our dentists will first prep your tooth by sanding it down to ensure a smooth surface. A white filling will then be placed into the hole of the tooth. While fillings do work for this purpose, depending on where the crack is, you may not be able to receive a filling. Many patients who cannot have the tooth filled will receive a crown. If we are being honest here, it is probably safe to say that there is an area of our teeth that we all dislike. Everyone has one spot that they cannot stand, or they have one change they would make – that is the way it is. Very few people are born with the perfect smile. If you are looking for a way to improve the look of your teeth, fillings can help. They are an affordable option to improve your smile without the costs that can be incurred with other options. Patients who do have old amalgam fillings may want to replace them with new tooth-colored fillings and we can do that in our Thornton office. If you want to cover up stains or flaws on your teeth, this is a great option for you. Cavities are often stopped with a filling, which is placed into the cavity to protect the tooth. Since our mouths harbor a lot of bacteria, it is important that tooth decay is treated promptly to avoid infections or serious decay. As the plaque in your mouth sits on your teeth, it eats away at the enamel and you will likely see a white spot on the tooth. This indicated that minerals are being stripped from the tooth. Once these spots start to form, cavities can still be reversed. This is a good thing and all you will need to do is re-mineralize the area with a fluoride varnish. You will need to have regular dental checkups too. If you do form a cavity, it cannot be reversed at this point and steps need to be taken to prevent spread of the decay. Cavities in their earliest stages will not cause any pain or sensitivity, so you may not know you have one. If you do have a painful cavity, you may need to have a root canal performed to remove the infected portion of the tooth. Fillings for cavities can take anywhere from 10 minutes up to an hour in some cases. The amount of time that your filling will take will depend on the location, size, and severity of it. Some fillings are able to be done without a local anesthetic, but we almost always administer local anesthetics to ease the discomfort. If you have any exposed roots, then you will need to receive a filling to protect the tooth and its root. There is a correct and incorrect way for you to be brushing your teeth and if you do it incorrectly, you will likely cause your gums to recede. Once the tooth root is visible in the mouth, it can lead to sensitivity and erosion. It can be hard to protect it from decay and it is more prone to further problems. If you would like to learn more about the fillings we offer in our office or you would like to inquire about the overall health of your teeth, now is the time. Call Thornton Town Center Family Dental to book your appointment with us. We will work closely with you in our Thornton office to provide you with fillings and even replace your old amalgam ones too. Don’t let the tooth decay get any worse and call us now to make your appointment. Botox is another option available for treatment. Botox is injected into the muscles. It will help prevent grinding from occurring, and it will not disrupt your daily life either. At Thornton Town Center Family Dental, our focus is to treat the bruxism and help to get it under control. If your teeth have been damaged from it, we have treatment options available to ensure that your smile is beautiful! Call our Thornton, CO office today to schedule an appointment with one of our dentists.